As the five leave Colombo to travel to an ancient city, the generations collide and long-held prejudices are revealed. For this family, with one foot in the old way of life and one firmly in the new, nothing can ever be what it once was. 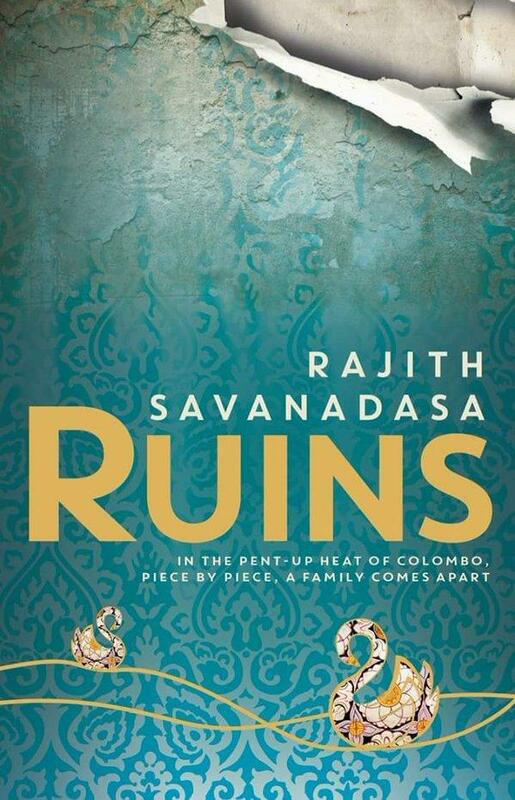 Set in Colombo, Sri Lanka, Rajith Savanadasa’s debut novel Ruins is a sweeping family saga that looks at class, wealth, gender, intergenerational conflict, cultural conflict, politics and more. It follows the fortunes and misfortunes of a family, with each chapter narrated by one of the five central characters in the household. Mano and Lakshmi are the patriarch and matriarch, and their marriage has grown strained. Mano is under increasing pressure at his workplace, and he’s tired of trying to keep everyone in his family happy. Mano’s wife Lakshmi is affected by the Sri Lankan civil war and the fate of a missing Tamil boy, and feels isolated and misunderstood by her family. Their two children – Anoushka and Niranjan – are both grappling with traditions and cultural beliefs that they find restrictive, and struggling to figure out who they are and who they want to be. The book’s fifth voice belongs to Latha, the family’s long-suffering servant, who is torn between loyalty to the family she works for and the family she left behind in her hometown. This is a book bursting with plot and drama. It’s a genuine page-turner, filled with deeply flawed, interesting characters who I kept thinking about (and worrying about) long after reading the final page. Ruins stands out from other Australian debuts for its ambitious structure, its vibrant setting, and the depth and complexity of the Sri Lankan family at the centre of the story. Highly recommended. Nina Kenwood is the marketing manager for Readings. Katy's unexpected suicide forever changes life for her best friend Audrey, and their group of close friends in their twenties.